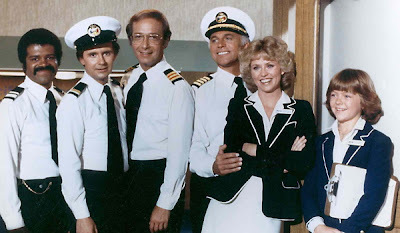 Over the weekend, do you ever feel like you've morphed into Julie McCoy from The Love Boat? Well okay, I am GrumpyJulie. And GrumpyJulie sometimes finds it hard to have an open smile when it's not such a friendly shore. My four constant guests were not always compliant and grateful. Sometimes they are melting-down, complaining little persons who refuse to pay for their passage. But we are on that boat and we are not getting off! And we are going to have so much entertainment! And if we do not have fun, we will at least have spent loads of time in the car in pursuit of it! First up was Cy's soccer... but actually when I think about it, his coach took him. I was looking after Tallulah, nine, and her five sleepover guests. And then I got a friend to take Cy, seven, to his baseball. Kevin took Harley, 13, to his basketball game and Jackson, 11, cycled to his baseball game. I did take Tallulah to her cousin's ice-skating birthday party, but admittedly my brother Tony chaperoned her around the rink while I clutched on to the edge. I did photograph their tennis and took them to the pool. Let's face it. Not even Julie could be Julie. The actress who played her, Lauren Tewes, was famously dismissed for her cocaine habit. And eventually the show was cancelled for lack of interest. You might wander what GrumpyJulie was doing instead of constantly entertaining her kids? Well Isaac may have overpoured the previous evening, and with Doc Gopher on shore leave and unable to adminster to the bottle flu, it was Captain Stubing in charge. Tomorrow night we're off to New Zealand for 10 days. We planned on staying for two weeks but when we booked the flights, the kids were fighting so consistently and persistently, we just thought: "Oh two weeks would just be too much fun!" So next time you hear from GrumpyJulie she will have embarked in the port town of Wellington, New Zealand accompanied by four happy wee travellers eager to see the cultural sights. Bon Voyage! Thanks for the link! I had no idea that her career ended like that... sad. I love this post. It's completely true. And I love that we're not the only ones with children who fight constantly. Thank God for Isaac (aka- booze), right?? Have a wonderful trip, and I can't wait to see pictures, and hear all about it! Oh, and speaking of booze, Ryan and I just watched a couple of your wine videos. Love 'em! Have a wonderful time in New Zealand Jody! I'm sure it will be incredible and hope you will take lots of pictures! p.s. Is that lovely pool in Kentfield? 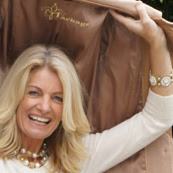 Bon Voyage, I will miss your fun and happy blog! I'm laughing at the phrase 'overpoured'! And shivering with fear at the thought of six 9 year old girls at a sleepover! Hope GrumpyJulie turns into Happy Julie for your trip. Looking forward to hearing all about it. Have a fantastic trip! My nephew is in NZ at the moment and sending daily e mail diaries (he is a writer and he evokes all the smells, sounds and tastes so brilliantly that I could almost be there!). I'm hosting a sleepover for 7 girls aged 11 over Easter (my youngest is 11) so feel the pain with you! Your photos were brilliant! Julie had some wicked seventies hair going on there. I bet she had a bush like a microphone head too. Yes I did say it. Have a wonderful time on your trip! It sounds amazing - I hope to visit New Zealand someday. 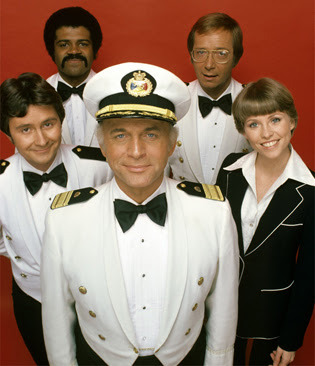 And thanks for the memories of Love Boat - Saturday evenings as a kid, watching that and Fantasy Island. Too funny! have a great trip back home! We're heading there in October for the world cup! Hope you have a wonderful trip. Oh how fun Jody! Well, not the fighting kids part. My kids aren't old enough for bickering (yet) but there's been a push down the stairs and attempted baby-luring outside by my 3-year-old. I can't wait to see your photos and always entertaining post when you get back! Have a fantastic trip! After all that ferrying about, chauffeuring and general business, you deserve it! Hope you have a great voyage. And could you bring back of large supply of Kiwi wisdom. We could use some in North America. Have a safe and peaceful trip! Will be thinking about you. Do you go back often? Are your parents still there? I was only able to go back to Georgia once (in 17 years). Luckily, my parents live here in Tn now. Have fun! Hope you all really enjoy the trip!! Can't wait to read about it when you get back. Omg, how exciting that your going to New Zealand (your probably already there as I type this!) Thank you for stopping by my blog. Love the cocktail and after working all day I think I might be inspired to pour myself one. I LOVE that baseball picture! Raaaaaaaaahhhhhhhh!!!!!!!!!! i feel that way when i have house guests. buuut, i'll leave the hair cut... not my style! Glad I'm not the only one that feels that way!! Have a wonderful trip to NZ--I'm jealous! Have a fantastic trip! Two weeks away sounds wonderful! Jody- I insisted our full family of five play a board game tonight. A little group fun! We had to split into two teams and that did not go well, and the game went downhill from there. It is so impossible to "make" kids have fun, as much as I threaten them to.